So, we know this is the follow up to The Return, a spin-off series of Jennifer L. Armentrout’s Covenant Series. In the first book we meet Seth again, the Apollyon, one year after the events of the Covenant Series take place. 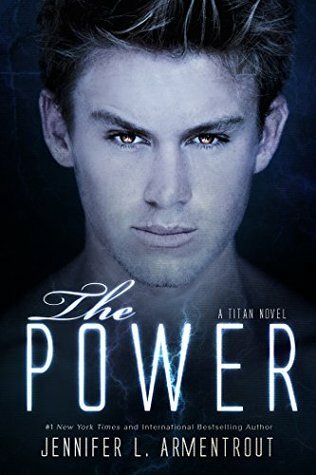 He is charged with protecting Apollo’s daughter, Josie, a demigod. The second book picks up where he first left off. Josie and Seth are the Covenant University in South Dakota training so that Josie can gain control of her demigod powers. I was underwhelmed with this book. Maybe my expectations were too high? Or maybe because the characters need to grow, it wasn’t as exciting? I am not totally sure. The writing was still very good. And Seth was still the jackass… nothing changing there. I mean, we even got to see Alex and Aiden, my baes from the Covenant Series. But this book was less about the action and more about the relationships- pure-bloods vs. halfs and the Breeding Order, Josie and Seth, Josie and Apollo. And I guess I wasn’t expecting that; maybe that’s why I am underwhelmed. I still really enjoyed reading it, but not as much as The Power, or some of Armentrout’s other novels.